REEL 1: Recollections of background in Aston Clinton and Stanmore areas, 1896-1914: education; Boy Scouts activities; work as gardener, 1910-1914; sporting activities particularly athletics; realisation of approach of war; outbreak of war and view of mobilisation, 4/8/1914. Background to recruitment to Royal Marines at Whitehall Recruiting Office, 18/9/1914: parents' reactions; reasons. Recollections of conditions of service, lifestyle, daily routine and training on posting to Chatham Bn Royal Naval Div at Chatham Barracks, 9/1914-1/1915: reception; beds; morning routine; relationship with older reservists; regimental number; drill; tactical exercises; rifle training; route marches; relationship with Midlands miners drafted in; football activities; story of drunken soldier firing rifle in barrack room; punishment parade; weekend routine. REEL 2 Continues recollections of conditions of service, lifestyle, daily routine and training on posting to A Coy, Chatham Bn Royal Naval Div at Chatham Barracks, 9/1914-1/1915: relationship with civilian population; sporting activities; rations; leave; difficulty of getting promotion in Royal Marines; brother's service career; question of adequacy of training; signal training. Billets during period at Sutton Waldren, 1/1915-2/1915. Recollections of voyage on Cawdor Castle to Mudros, Lemnos, 6/2/1915-18/2/19 15: prior journey to Devonport; seasickness; food; officers' horses; hammocks; shore visit at Malta; rumours of destination; situation on arrival. Recollections of periods based at Mudros, Port Said, Egypt and Skyros, 18/2/1915-24/2/1915: landing practice; briefing on purpose of landings; visit to Dardanelles/Helles area, 21/2/1915. REEL 3 Continues recollections of periods based at Mudros, Port Said, Egypt and Skyros, 18/2/1915-24/2/1915: view from ship of Plymouth Bn attack on Kum Kale, Turkey, 4/3/1915; arrival of Royal Naval Div units at Mudros; view from ship of naval assault on Dardanelles, 18/3/1915; opinions on strategy employed at Gallipoli; interval at Port Said; burial of Rupert Brooke at Skyros; terrain at Skyros. View from ship of landing operations at Gallipoli, 24/4/1915-28/4/1915: prior diversionary tactics at Bulair; ineffectiveness of naval bombardment; limited British advance at Helles. 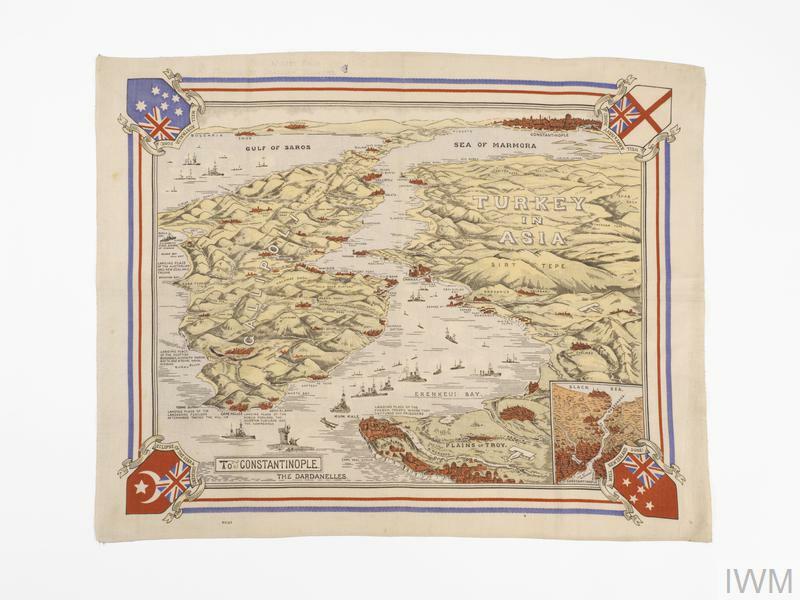 Recollections of operations at Anzac, 28/4/1915-3/5/1915: situation on landing at Anzac Cove; taking up positions on ridge in Shrapnel Valley; Turkish snipers; Turkish use of hand grenades repulsing Turkish mass attacks, 29/A4/1915; taking up exposed position at top of Shrapnel Valley, 3/5/1915. REEL 4 Continues: Account of Turkish attack on positions at top of Shrapnel Valley, 3/5/1915: repulsing initial Turkish attacks; enfilading machine gun fire; wound in right foot; being over run by Turks and escaping down side of ravine; rescue by New Zealander with donkey and lift to beach; evacuation from beach on Dongola; inadequacy of British machine guns; overheated rifles during Turkish attacks; loss of officers; position of enfilading machine gun; inadequacy of water supply; nature of terrain; story of Australian soldier acting as decoy to discover sniper's position; opinion of Australians. Recollections of conditions and lack of medical provision on Dongola, 5/1915. 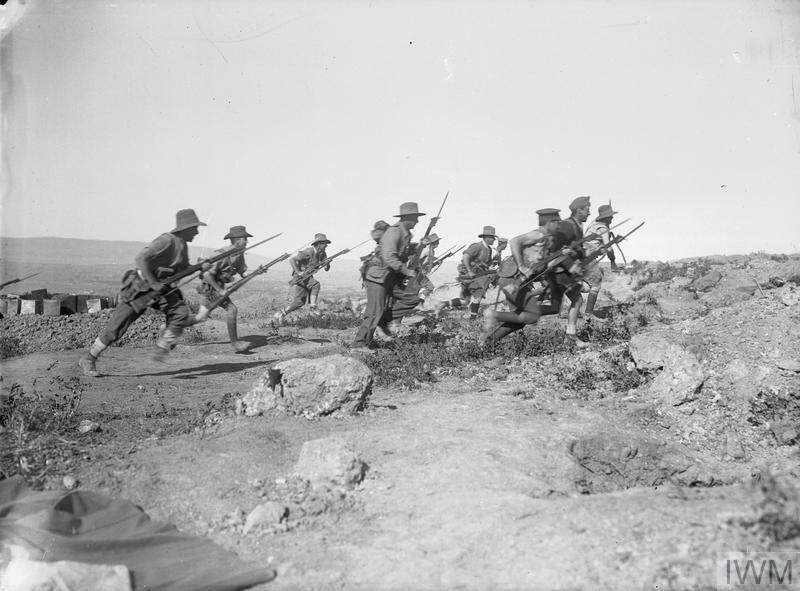 Opinions of Gallipoli strategy and tactical position at Anzac, 4/1915-5/1915. Transfer to Lutetia at Alexandria, Egypt, 5/1915: state of foot; collision en route to Gibraltar; arrival in GB, 21/5/1915. Recollections of medical treatment, convalescence and leave, ca 5/1915-7/1915: civilians' inability to understand nature of war. REEL 5 Continues recollections of medical treatment, convalescence and leave in GB, 5/1915-7/1915: civilians' inability to understand nature of war; conversations with soldiers in training; cricket activities. Reception on return to Chatham Barracks, 7/1915. Recollections of voyage out in Ascania and Osmania to Helles, Gallipoli, 2/8/1915-13/8/19 15: reactions to being drafted; determination to shoot unpopular martinet Royal Marine officer; rare case of theft; conditions; landing at V Beach. Recollections of conditions of service, lifestyle and operations with A Coy, 1st Bn Royal Marine Light Infantry, Royal Naval Div at Helles, 8/1915-10/1915: moving up into reserved line; smell of corpses; communication trenches; reception; nature of trenches; situation; corpses in No Man's Land and looting of them by Turks. REEL 6 Continues: Recollections of conditions of service, lifestyle and operations with A Coy, 1st Bn Royal Marine Light Infantry Royal Naval Div at Helles, 8/1915-10/1915: listening post duty in No Man's Land; barbed wire; intermittent nature of shell fire; sniping activities; situation; kit carried in line; food rations; rum ration; daily routine; night time sentry duty; relationship with officers and NCOs; letter and parcel contact with GB. REEL 7 Continues recollections of conditions of service, lifestyle and operations with A Coy, 1st Bn Royal Marine Light Infantry Royal Naval Div at Helles, Gallipoli, 8/1915-10/1915: parcels and letter contact with GB; diary; daytime activities; latrines; prevalence of dysentery; fly and lice problems; washing and personal appearance; relationship with officers and NCOs; influence of religion; personal morale under continuous fire; periods in rest camp including accommodation trenches, daily routine, bathing parties and working parties; state of battalion. REEL 8 Continues recollections of conditions of service, lifestyle and operations with A Coy, Royal Marines, Royal Naval Div at Helles, Gallipoli, 8/1915-10/1915: morale; opinion of Turks; evacuation with malaria and spinal complaint, 10/1915. Treatment for spinal complaint on hospital ship and at naval hospital, Malta prior to voyage on Aquitania to GB, 10/1915-12/1915. Period in Haslar Hospital, Gosport, 12/1915. Discharge as totally disabled, 12/1915. Period of gradual recovery, 1916-1917. Work as civilian driver for Army Canteen Committee, Halton Camp, 4/1917-1/1919. Question of Armistice celebrations and story of friend wounded on that day on Western Front, 11/11/1918. Post-war employment.